Standard room dividers are great for privacy! Even during one of the most private times, just one room divider is rolled into place to protect voters rights! 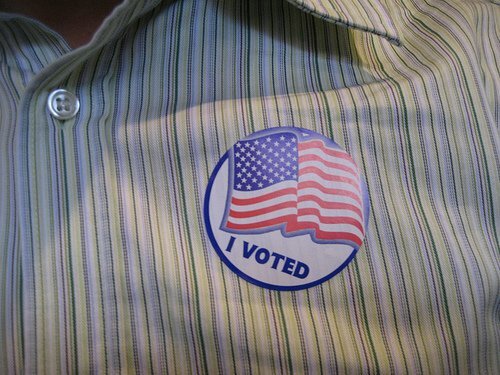 Early voters don’t need a reason for voting early, just a valid identification card. 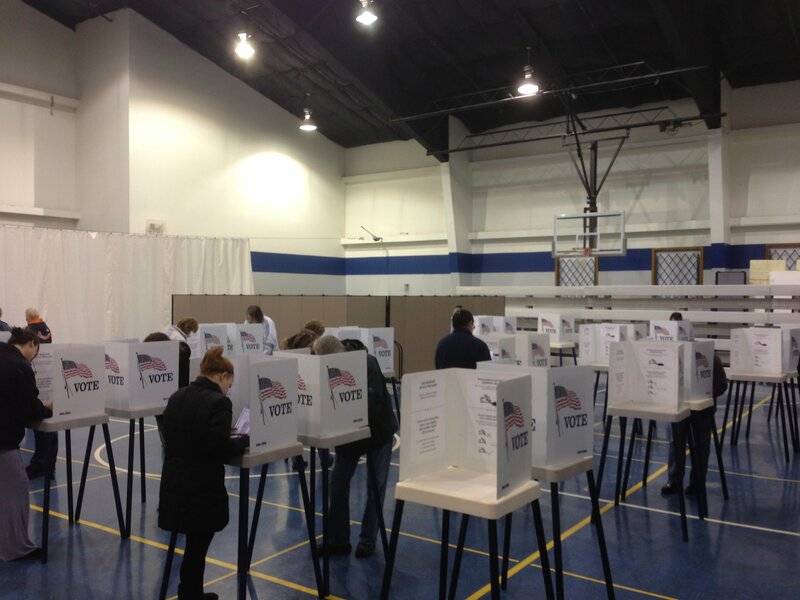 Many smart voters are opting to vote before polls normally open this year to avoid the crowds. In the Ela Township building, polling booths are set up in the downstairs area of the building against a Screenflex divider. 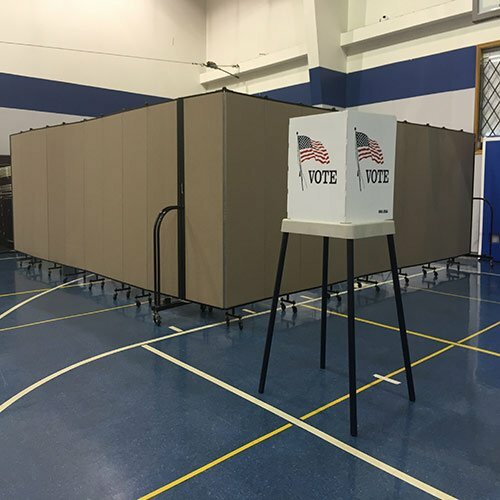 One blue 6′-0″, 13-panel Standard Room Divider acts as a privacy wall for voters. The large lower level is divided into two areas by a room divider so normal activity can go ahead on one side, while on the other side of the divider, voters can cast their ballots. Acoustical panels and full-length piano hinges provide 100% visual privacy. Create two or many temporary rooms. Hide tables and chairs that are stored in the back or corner of a room. Use as an art display or bulletin board. Block off an area for no entry. Versatile room dividers come in 36 colors and are available at various heights and lengths. Dividers can be connected together to provide any length you require. Dividers store in a small footprint 2′ – 5″ x 3′ – 0″. ilable at various heights and lengths. Dividers can be connected together to provide any length you require. Dividers store in a small footprint 2′ – 5″ x 3′ – 0″. Made in USA, or "Buy American and Create Jobs"